Stream anime episodes online for free, Watch One piece Episode 178 English version online and free episodes. Anime Episode guide One piece Episode 178 English dubbed Bursting Slash! Zoro vs Priest Ohm! 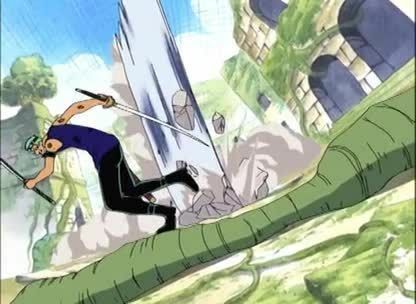 Zoro finally defeats Priest Ohm with his 108 Caliber Phoenix technique. Meanwhile Pagaya and Conis hear the terrible truth about the goal of Eneru: to eradicate every person in the sky.